My great uncle Jim was a very difficult man and an even more difficult hospital patient. But a lot of his bad temper and his irritating comments were due to fear. He was in poor health due to heart problems. When he was in his early 70s his illness became so serious that he had to be hospitalized and was scheduled for surgery. But he fought us all the way. It took weeks to convince him he was really sick and had to go in. Finally we got him into the hospital to prepare for the surgery on a cold January morning. He was handed a green hospital gown and told to wait in his room because the doctor had just arrived for a conference and wanted to talk to him about the operation. Uncle Jim took one look at the hospital gown and said "THAT'S IT! I'm getting out of here. I will never wear that thing. I don’t need this operation. I refuse." At that moment the doctor walked in and my uncle took one look at him, looked him up and down, and said "FORGET IT, DOC! I'M LEAVING!" The doctor had heard about my uncle's anger and the constant changing of mind. But he was still surprised. He tried to calm Uncle Jim, but that only made him angrier. The doctor pointed to a stand-alone screen. "You can go behind that and change into the gown. Then we'll talk about the operation," he said soothingly. "Look at you!" Uncle Jim snapped. "Look at those fancy clothes you got on!" And the doctor was indeed impeccably dressed, dapper and well groomed, dignified and distinguished. He was about twenty years younger than Uncle Jim. His very expensive black wool overcoat, silk scarf, sharp navy pinstriped three piece business suit, burgundy silk tie, expensive watch and crisp, starched white shirt were in complete contrast to blue-collar Uncle Jim in his old flannel shirt and jeans and boots. The doctor looked spruce, immaculate, successful, a man in authority, from the knife-sharp crease in his suit trousers to the knife sharp part in his hair. The doctor was holding the white coat he planned to put on, and looked down at himself with a smile. "Well, you'll just have to put up with that!" said the doctor in a rather patronizing tone. "Those shoes must have cost you plenty!" shouted Uncle Jim, pointing at the doctor’s mirror-shined black cap-toe shoes. "How much? Well? How much?" The doctor hesitated, sighed and said, "Eight hundred dollars." That is all Uncle Jim needed to hear. We tried to calm him down and apologize, but Uncle Jim was already on the way out. And he meant it. "I ain't going to let any high and mighty doctor in fancy eight hundred shoes and a fancy suit tell me what to do! He's not gonna stuff me into that stupid hospital dress. Forget it. Let HIM wear that thing!" He started to leave but the doctor pleaded with him to wait just one more minute. We stepped out in the hall and the doctor explained that my Uncle Jim had 'control issues'. Well, OK but what was the answer? We had waited too long already. He had to have the operation but they couldn’t force him. "I can't make him." said the doctor. Then he thought for a moment. "I have an idea. Give me some time with him. Trust me." We said yes, not hoping for much. The doctor went back in and we heard Uncle Jim yelling. We went to the waiting room. Forty minutes later a nurse told us we could go back in. We cautiously entered the room and at first thought Uncle Jim was talking to another patient. But he wasn't. It was the doctor himself. With a few changes. Uncle Jim was still fully dressed and sitting on his bed. In the chair across from him, smiling and taking notes was the well known and respected doctor – only HE was the one wearing the hospital gown! And nothing else. What happened to the perfectly dressed, authoritative surgeon who had calmly and confidently steeped into the room an hour before? He had been utterly transformed. "We're having a fine time," said Uncle Jim smiling. "I'm ready for the operation. He explained it all! He just had to make some important changes that I asked for!" He pointed at the closet. 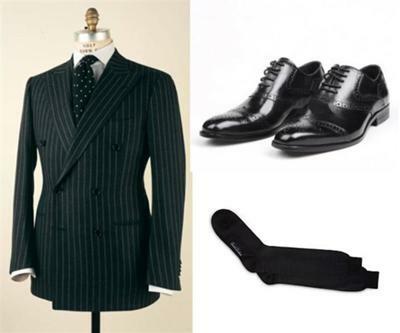 There was the doctor's three piece pinstriped business suit hanging alone - where the patient's clothes usually are – the jacket on one hanger and the trousers on another and the vest on another. The starched white shirt hung next to them. The overcoat was on still another hanger. The silk necktie, silk winter scarf and the leather belt were placed on hooks. The doctor's own clothes, not Uncle Jim's! "Look in the top drawer!" I opened the top drawer of the dresser. There were the doctor's cell phone, gold watch, cufflinks, wedding ring, medical school ring, leather gloves, wallet and keys. Even his underwear was there, neatly folded! "Andy told me that suit is some fancy Italian kind," said Uncle Jim cheerfully. "Armani," said the doctor with a rueful grin. "Yeah. Armani. Nice suit, huh? Pinstripe. He ain't allowed to put it back on until we're done talking. He's the patient right now," said Uncle Jim. "Ain't that right Andy? Not even your socks." The doctor just nodded. "I'm not allowed to put my clothes back on until everything is taken care of." Andy? Why was he called Andy? “Is that an ID bracelet?” I asked, stunned. Yes, the doctor even wore an ID bracelet on his wrist! “It sure is!” Uncle Jim was relishing every minute of this. "What have you done?" I asked. I was too stunned to say anymore. I admit I was only relieved that the operation was on again. He explained that the doctor asked him what it would take for him to go along with the operation and stop complaining. He told the doctor he would need to know what it feels like to be a patient and go through the process. The nurse was told and even gave him a checklist. Uncle Jim grinned. It was the first smile I had seen in a long time. It's too bad it was at the doctor's expense! The doctor just nodded and sighed. "So I had to do what the patient does because right now - I AM the patient. It's true. I agreed"
Well well well that was a turn around but I hope that it worked.